and pasting in the article’s url. Read About Me in an Italian Magazine This Week! 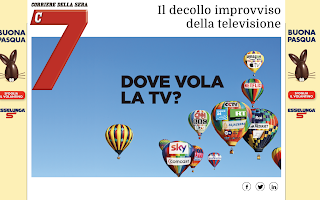 Day after tomorrow, on Thursday April 11th, Corriere della Sera's glossy weekly magazine, 7 - Sette, will publish an interview with me (in Italian, of course) by Vittorio Zincone as part of his Doppio Binario series. Complete with pictures! If you live in Italy, go out and buy it!!! The issue will stay at your local edicola for a week. 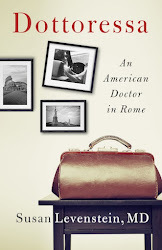 Here's the finale of a new pre-publication review of Dottoressa: An American Doctor in Rome: "A funny and endearing but also deadly serious memoir of the Italian health care system by an astute and caring outsider." This one comes from Booklist - one of those publications, like Publishers Weekly and Kirkus, that exist mainly for booksellers and libraries to pick their titles. Only a month and a half until the official publication date!